The service will take place Monday, May 29, at 9 a.m. at Rose Hills Memorial Park Mortuary, 3888 Workman Mill Rd., Gate 10, Whittier; (562) 699-0921. A Memorial Day reading will be conducted by Army JROTC cadets Ryugen Yasuo, Alena Ramos and Logan Quintana. Bernard Cain will provide “Taps.” Family and friends of fallen comrades can offer floral tributes in remembrance of their loved ones. Rev. Shumyo Kojima of Zenshuji Soto Mission will deliver the invocation, benediction, and floral tribute. 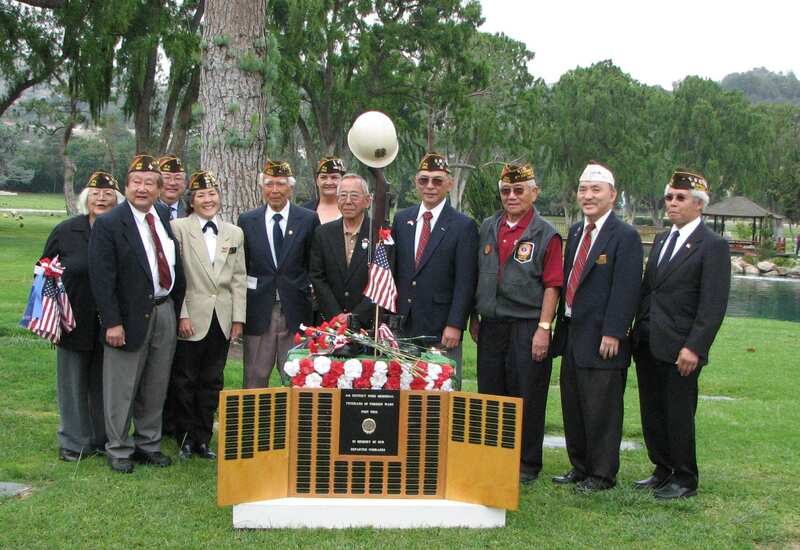 Also participating will be the Redondo Beach Union High School Marine Corps JROTC Honor Guard and Rifle Squad. For more information, contact chairman Joe Kawata at (626) 282-2595, Pam Amimoto at (626) 282-2595, Linda Kunihiro at (626) 355-1309, or Chaplain Low Dong at (310) 483-3646.